Paul and Timothy are in constant prayer for the Colossians even though they do not know them personally. They are linked to the church through Epaphras, the disciple of Paul who took the Gospel to Colossae and the surrounding area. Despite the distance, relational as well as geographical, Paul sees himself as pastorally responsible for the young congregation – responsible enough to pray for them often (not just once or twice as he happens to think of them, but with intentionality and regularity). In this, Paul is setting a pastoral example for ministers everywhere. Our prayers should encompass those under our direct spiritual care, as well as those who are under the care of our own disciples and friends. By example, Paul commands us to pray for those in our disciples’ flocks. By doing this, we are honoring those we have raised up in the faith. To know God’s will is to want God’s will. The content of Paul’s prayer for Epaphras’ church was that God would fill them with the knowledge of his will through the Spirit’s wisdom and understanding. This is a beautiful prayer, and one that is needful for all believers. (If you are a pastor, how much would it mean to you to know that the person who raised you up in the faith was praying this prayer for the people in your church?) While it is heady, (notice the words knowledge, wisdom, and understanding) it is not neglectful of the heart. To be filled with the knowledge of God’s will also means to be filled with the desire to participate in, and help bring about, God’s will. To know God’s will is to want God’s will. But the heart’s desires must be guided by the mind. Knowledge, wisdom, and understanding help to shape what we desire and will. The Spirit gives wisdom and understanding to those who seek it, and the more wisdom and understanding we are given, the more we will seek both. The Spirit’s wisdom and understanding, then, fill us with the knowledge we need to discern and enact God’s will. When Paul and Timothy pray for the Colossians, their prayers are full of thanksgiving because of the power of the faith and love the believers exhibit in Colossae. Though Paul did not plant the church in Colossae (his disciple, Epaphras did that), he still considered it one of his congregations, and assumed apostolic care for them in prayer. This is a powerful encouragement (by example) for pastors and leaders to pray, not only for those in their direct care, but also for those who may be in congregations nearby, or which are in some other way tied back to them. The report Epaphras brought to Paul and Timothy about the church in Colossae emphasized their faith in Jesus and the love they had for all believers. Love for fellow believers is a big deal to Paul (see especially 1 Corinthians). The way that Paul constructed the phrase the love you have for all God’s people “reveals two truths about the nature of the church’s concern. First, it was sacrificial. The term agapē reminded them of the sacrificial love of Christ for them. Second, within the Christian community it was indiscriminate. The love was directed to all the saints.”[i] The love that defines Christian community is the same love Jesus displayed on the cross – both sacrificial and indiscriminate. Christians cannot love some and not others. Note: Unless otherwise indicated, all Scripture quoted in every post is taken from the NIV 2011. Paul calls God “our Father,” and immediately afterward calls him “the Father of our Lord Jesus Christ.” There is significant, if unspoken, meaning for our relationship with Jesus here. Moreover, it is clear that we are to understand our relationship with God as familial – he is our Father and we are his children. This is a radical departure from the way the Colossians related to the Roman gods they worshipped in their old, pagan way of life. Though it was possible for a pagan to call Zeus or Jupiter his “father,” what that meant was that he owed everything to the god. But for the Christian, God the Father has given everything to, and especially for, him. Not only do Christians have a family-based relationship with God, they also are brothers and sisters of one another. God’s holy people, in Colossae, Ephesus, or wherever, are his personal family, bound up together in Christ. Note: A blogentary is a “blogged commentary” on a book of the Bible. 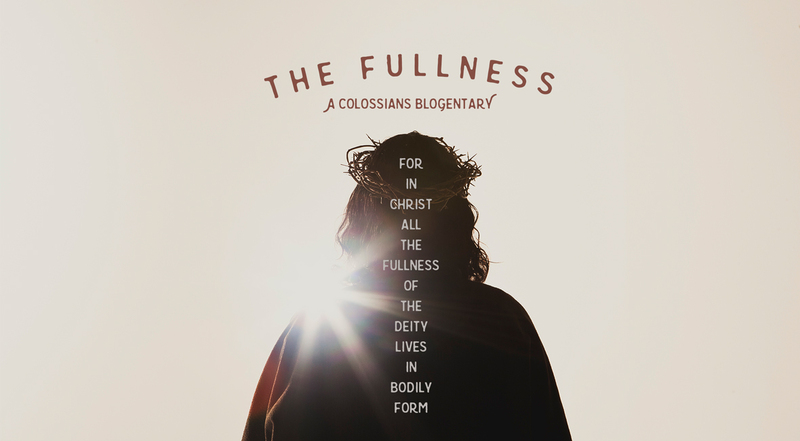 I am writing this blogentary on the epistle to the Colossians. My hope is that this commentary will be useful and encouraging to those ministers and laypeople who discover it. Subsequent posts will deal with small portions of the text, and will appear as I am able to finish them. Maybe you didn’t know that certain books of the Bible have what scholars call disputed authorship. Lucky you. As it turns out, Colossians is one of those books. Traditionally attributed to Paul, the authorship of this letter has come under significant scrutiny in the past two centuries. Scholars point to differences of style and theology in Colossians (as well as Ephesians) when they compare it to the no-doubt-written-by-Paul books like Romans and 1 Corinthians. What are we to make of this? Is Colossians so obviously different from Paul’s certified letters that it’s possible he didn’t write it? And if he didn’t write it, what does that mean for us? What does it mean for the integrity of the New Testament? We could just throw up our hands and say, “Well, it’s in the Bible, and I trust that God wouldn’t let anything get into the Bible that’s not supposed to be there. At the end of the day, it doesn’t really matter who wrote what. The Spirit inspired it. God included it. I believe it.” We could say that, but there’s really no reason to concede the authorship issue.